MANILA, Philippines - Speculations are now over! PLDT Group Chairman Manuel V. Pangilinan (MVP) officially revealed his big announcement today, September 26, 2014 at the Makati Shangri-La. It's not about selling TV5 or buying GMA, politics, sports or marriage but relates to business. 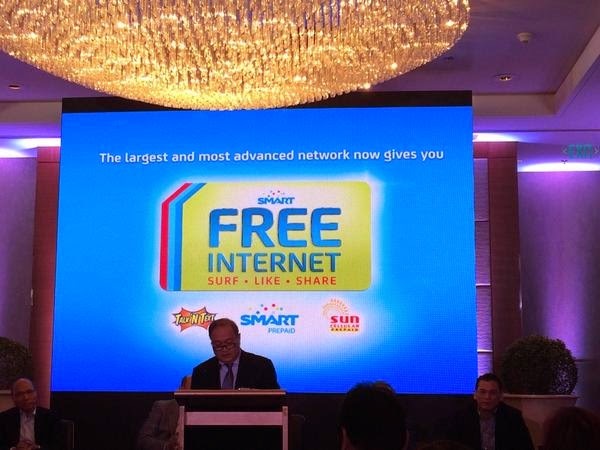 MVP inaugurates today free Mobile Internet services available to all prepaid subs of Smart, TNT and Sun. Users will be allotted 30MB of free data access per day. The "initial offering" begins today and will continue until November 30, 2014. The company will then assess whether or not to continue the service for free. 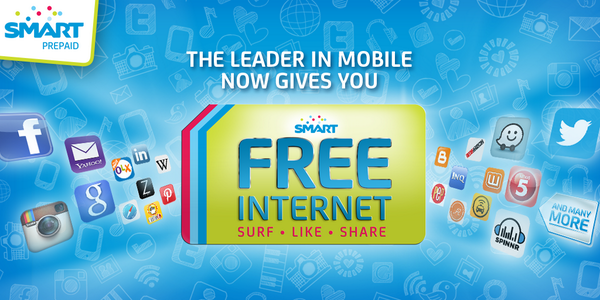 Free internet access for all our prepaid subscribers. Launched just now at Makati Shangri la! "We’re inaugurating offer to make Mobile Internet services available for free to all prepaid subs of Smart, TNT and Sun," MVP said. "Our network is ready to handle this program for our 66 million subscribers," the big boss of PLDT Group added. The program is said to be part of the "Internet For All" campaign of Smart, Talk N Text and Sun. On Thursday, MVP has tweeted a teaser of his big reveal: "Mga Kapatid, with my colleagues, I will make a very important announcement this Friday, Sept 26, 11 am, Makati Shang Hotel. See you then." He clarified on the same day that the announcement is not about politics: "Luchi, I can only tell you what it's not about - it's not about politics."